I’ve done them both … I’ve done it all. I’ve done Jazzercise, group workouts, small gym, large gym, then did nothing for 10 years and got to where I was 2 years ago (262 lbs.) and I tell ya I can only say one thing is for sure, NOTHING will work unless you give it your All and be Consistent!! Recently I took a month off from my personal trainer and attempted to do my beachbody workouts at home, by myself, and I will not lie, it was hard to keep myself on track and not procrastinate. My personality, as I’m learning, has some downfalls like disorganization and I think a little procrastination. I started back at the gym with my trainer and for me, this just works. 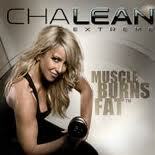 I’m doing my BB workouts, (ChaLEAN Extreme) here at home and I love that too!! It’s a totally different type of exercise and motivation, and I’m hoping with both I can reach my goal by December, instead of next June. Whatever you do, however you choose to do it, give it 1000% and give it your ALL and you will succeed, plain and simple. You will get out of it whatever you put into it. You put time and effort, you will see results. If you are hit and miss and lazy about it … you’re probably not going to see results. Gym memberships are a dime-a-dozen these days so if that’s your best venue, choose a gym and go everyday. Google workouts, look at YouTube videos and write down a plan or print one out. Plan your exercise and reps and put it on a small clipboard and take it with you to the gym and go through the list. Hold yourself accountable to what you have written down on your plan. If you choose to exercise at home, beachbody has the most Amazing workouts on the market and they can all be done with little (few) to no equipment at all. They all come with meal plans, calendars to chart your progress and the best motivation out there. It’s so important that we “move” and move daily!! Sitting around or being sedentary will only make us older, fatter and more tired. Make a decision to workout, run, walk, get some exercise, whether it be at the gym or at home … but do “SOMETHING”! !